United States President Donald Trump says he will meet North Korean leader Kim Jong Un in Vietnam on Feb. 27 to Feb. 28 for their second summit, local media report said on Wednesday. Trump told Congress in his State of the Union address that as part of a bold new diplomacy, the U.S. would continue its historic push for peace on the Korean Peninsula. “Our hostages have come home, nuclear testing has stopped, and there has not been a missile launch in 15 months. “If I had not been elected president of the United States, we would right now, in my opinion be in a major war with North Korea. “Much work remains to be done, but my relationship with Kim Jong Un is a good one,’’ he stressed. 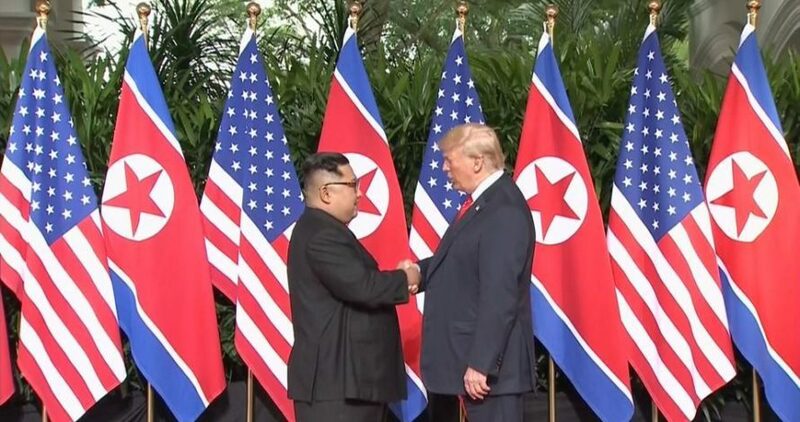 The pair held their first summit in Singapore in June, the first time a sitting U.S. president has met a North Korean leader. Though Kim vowed to denuclearise the peninsula at the talks, no concrete details were given on how or when this would happen and little progress appears to have been made since then. Trump’s speech came as U.S. envoy Stephen Biegun reportedly arrived in Pyongyang for talks on the summit with his North Korean counterpart Kim Hyok Chol, regarded as Kim Jong Un’s right hand man.